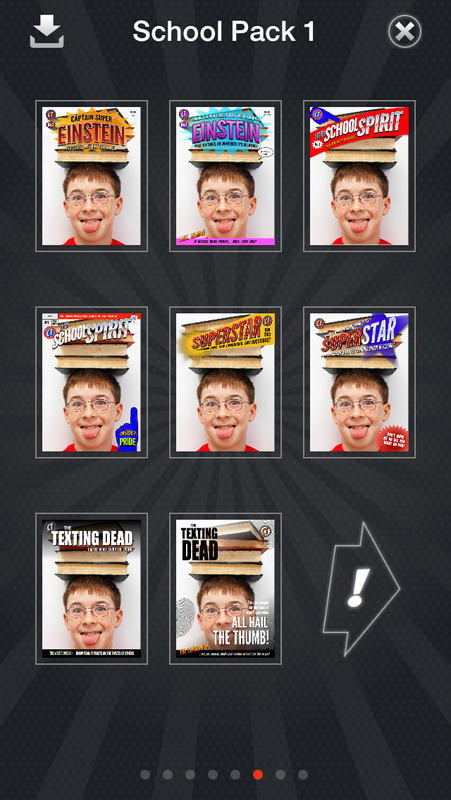 Comic Touch comes with 24 great templates built in, but you want more! And we deliver! We’ve got six additional sets of templates for you, so no situation is template-less. Each amazing bonus pack is a mere $.99 USD, except for our Love Pack, which is free! It’s true. We’ve got such a crush on our customers that we’d like you to have 8 fun ways to immortalize your love leading up to and on the big day. Just download our FREE Comic Touch app, tap the Template Gallery Icon in the tool bar, and swipe through our other great packs until the Valentine’s Day pack dawns. Then, simply tap the cart icon to “buy” it for free (we know that sounds weird, but trust us, today there’s no price tag on true love) and romance — Comic Touch style — is yours, free! 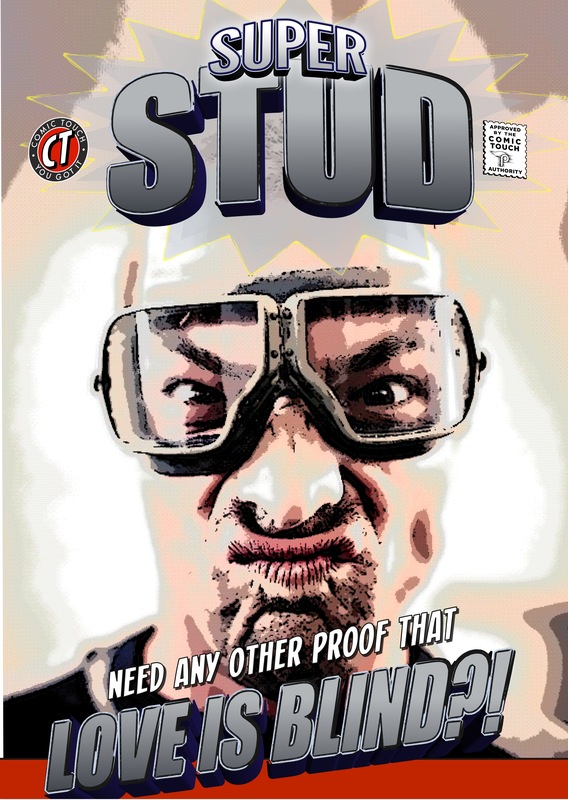 Your faithful friend deserves to be on the cover of a magazine just as much as anyone else. Probably more! The Dogs Pack is perfect for making Fido feel like Fabio. Whether your pup is a Dirty Hairy or a Rincess Ruf you’ll have the most aaaaw-some pic to show off at the dog park. You can buy The Dogs Pack for just $0.99 USD. Just tap on the cart icon in the template gallery! We want your cat to be feline good, which is why we present you with The Cats Pack! Show off your cat in all of the glory it deserves with the King Rawr! template. We know your cat is a yogi, so put her on the cover of the Cat Yoga magazine! Show off those purrrfect pictures you know you have on your phone. You can buy The Cats Pack for just $0.99 USD. Just tap on the cart icon in the template gallery! It was the best of times, it was the worst of… oh, whatever, that just happened! And you can capture the epicness of your days roaming the halls with The School Pack. Get together with your bestie showing off school spirit! You know you’re the Einstein of the outfit, so get your portrait framed up with the title you deserve. You can buy The School Pack for just $0.99 USD. Just tap on the cart icon in the template gallery! In a world where men, women and bots fight to escape the cube there is hope for one who stands against the man(agement). Will the one be you? Lead your people and bring a little humor to the office with The Work Pack! With templates for Captain Cubicle and Tales From the Break Room you have plenty to keep you looking like you’re taking notes during the next company meeting. You can buy The Work Pack for just $0.99 USD. Just tap on the cart icon in the template gallery! 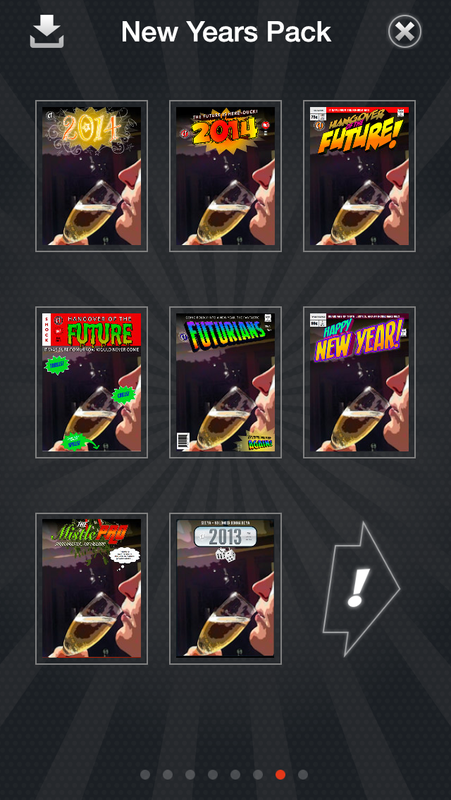 Capture New Years Eve with the amazing New Year’s Eve Pack in Comic Touch! Whether you’re going big in Time Square or toasting your gerbil at midnight this pack is perfect for capturing the moment. Who can ever remember the words to Auld Lang Syne anyway? You can buy The Work Pack for just $0.99 USD. Just tap on the cart icon in the template gallery! 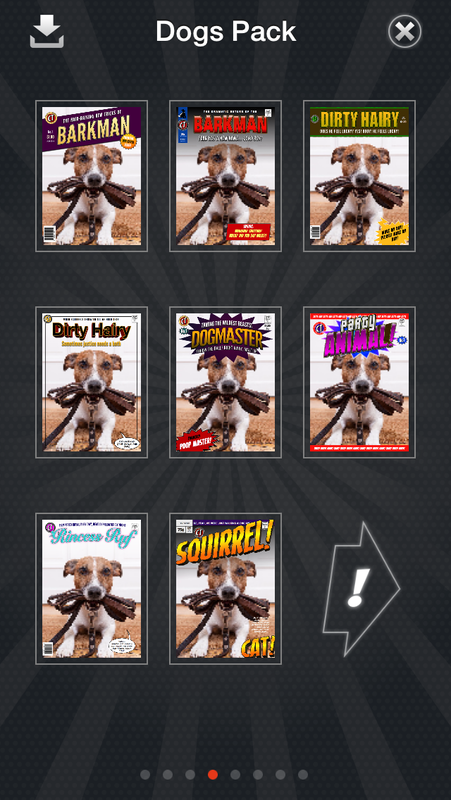 Once you've launched Comic Touch, tap the Template Gallery Icon in the tool bar for a look at all the packs we offer. The first few sets will be the ones you get free with Comic Touch, then after those, the most excellent packs you can purchase. To buy one, simply tap the cart icon and log into the App Store to complete your purchase. Once that's done, the pack will download automatically.